I have added a few more details and the letters on the back of the cap as well. i have added just simple stroked curved lines so that the cap does not become over crowded and to busy. leaving a fun clean stream line design the team initials on the sides and back so spectators will always have it in sight. 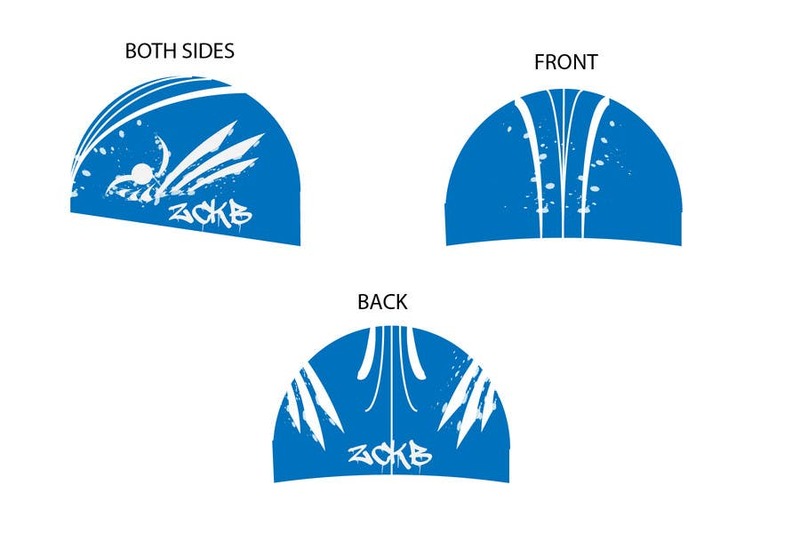 If chosen i will submit 3 files each with a section of the design so you can easily place each on the cap when you print it. in any format you need of course. Really like this one! Only item which I currently miss is the logo - perhaps on both sides? on the right and left side or on front and back >? Sure ! I'll fix that :) Glad you like it ! from the front of the cap you will also be able to see the swimmer and from the back you will see the splashes he is making.